Jeff Moehlis: What can we look forward to at your concert in Santa Barbara? 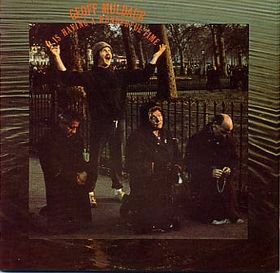 Geoff Muldaur: Tunes spanning our careers. 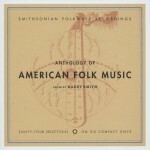 Quite a few tunes from The Harry Smith Anthology. Old, old ones and new, old ones. Our fiddler, Suzy Thompson, fits in with us real well; probably knows more obscure stuff than we do. I challenge ALL comers to show up and sound more like a 78 rpm record than we do. It can’t be done!!! 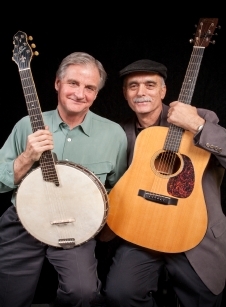 Jim Kweskin: Geoff and I have worked up a repertoire of exciting versions of songs from the Great Americana roots songbook. We do some songs from the old Jim Kweskin Jug Band days but we have also added some tasty new/old songs. I love playing music with Geoff. 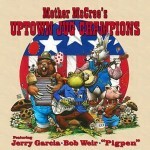 JM: When Jim Kweskin & The Jug Band was formed almost 50 years ago, was anyone else performing jug band music? And what drew you to that style of music? GM: Jim can answer this one. He and David Simon had the idea, and I’m glad they did. JK: When we started we were not aware of any other jug bands existing although a few started-up shortly after we became successful. 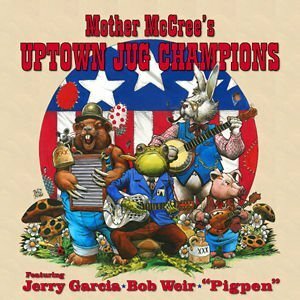 To me, jug band music is a blend of traditional folk music and old time jazz, both of which I love. I was and still am a fan of both Jelly Roll Morton and Woody Guthrie, Bix Beiderbecke and Leadbelly. 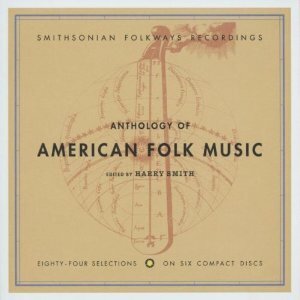 The first jug bands I heard were the cuts by The Memphis Jug Band and Gus Cannon’s Jug Stompers on The Harry Smith Anthology Of American Folk Music on Folkways Records. They blew me away. JM: Listening to the old Jim Kweskin & The Jug Band tracks, one gets the impression that you guys were having more fun than most other folk musicians at the time. Do you agree? JK: Yes!! Big time. We were having a blast, although, it was a lot of hard work and rehearsing. It takes hard work to make it sound easy. GM: The scene in those days was very uptight. The “folk” acts all wore matching striped shirts, and had set patter. We showed up in street close and let ‘er rip. Later, [Jerry] Garcia and others did the same thing. Fun? You bet. 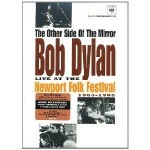 JM: You played at several of the Newport Folk Festivals. Are there any memories of those festivals that you’re willing to share, including your take on Dylan “going electric” at the festival in 1965? JK: The only problem with Dylan going electric was that, in that setting, it was just too loud. When you see it now on film it looks great. But at the time everyone else was playing acoustic which by nature is pretty quiet. They (Dylan’s band) turned up the volume to ear splitting volume. I love Mike Bloomfield but it was out of place and insensitive at that moment and time. 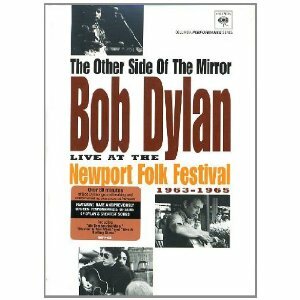 My greatest memories of Newport are meeting and listening to Mississippi John Hurt and Skip James and hearing Mel Lyman play “Rock Of Ages” through the sound system on into the parking lot while the stunned audience was leaving the concert after Dylan went electric. GM: I stopped answering the “Dylan Going Electric” question about ten years ago. Of more interest to me at the time, and today, were the geniuses and innovators that were gathered together in that one place and time. It was the end of The Golden Era, and we were given the opportunity to witness the Bach’s and Beethoven’s of our music. 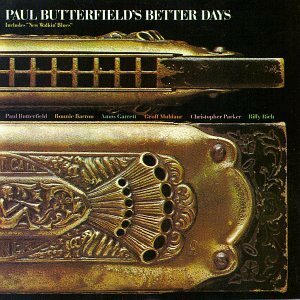 Of particular social interest was the Paul Butterfield Blues Band. The first integrated blues band since the Mississippi Sheiks. It changed everything. How many bands will be playing blues this weekend all over the world. Tens of thousands? It all started with Paul. 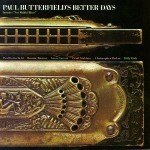 JM: Geoff, could you reflect on your time playing with Paul Butterfield? JM: Your bandmate Mel Lyman was a great musician, and also became known for The Lyman Family / The Foot Hill Community. Could you describe the Mel Lyman that you knew? GM: Jim can mostly answer this, but for me, Mel was the guy who taught me to have the second cup of coffee in a truck stop; take my time; check out the scene. JK: One of the greatest people I ever knew and by far my favorite harmonica player. 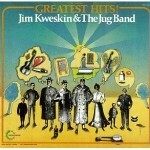 JM: What do you think is the legacy of Jim Kweskin & The Jug Band? JK: We started something that still carries on today. We broke the mold of how to perform on stage. We were natural, no uniforms, no set joke patter, just improvised kidding around with each other which included the audience in a way that hadn’t been seen before. Now, it’s the standard. People felt like they were a part of the show. JM: Geoff, your website has a very impressive list of artists that you have played with. One that jumps out to me is John Cale, on whose album Slow Dazzle you sang harmony vocals. How did that come about, and what was that experience like? GM: I was in London finishing up my first solo Wounded Birds album [Geoff Muldaur Is Having A Wonderful Time] and at my request, my producer, Joe Boyd, got John to play viola on one of my tunes. I reciprocated by singing on Cale’s new album. I sang “Guts” so many times I thought I was going to be sick, something I’m sure John would be proud of. GM: Stop copying. If you don’t have your own thing, get a real job. JK: Don’t follow anyone’s rules. GM: I’m presently working on my chamber music compositions and arrangements in Amsterdam, recording with members of the Asko / Schoenberg Ensemble and the Netherlands Philharmonic. JK: 2013 will be the 50th anniversary of The Jim Kweskin Jug Band. We are planning a reunion tour with Maria Muldaur and Bill Keith. JM: Do you want to set the record straight on anything related to your music, career, or life? JK: Yes. I wear a cap because I’m bald. GM: They made me do it!! Many Japanese fan are waiting for their Reunion Japan Tour. Yes, we have been waiting 40~50 Years. I can’t wait to see you guys in Japan! Yesterday evening Geoff Muldaur played in Venlo, The Netherlands, two sets, all material from his excellent solo albums. His voice never sounded better and his ’embellishments’ on the guitar (and that banjo!) were wonderful. One may call this ‘chamber folk and blues music’ but it was done with lots of hart and soul. And humor. Hope to see him again and again in this part of the world.